A new year, a new Reading Challenge! Many avid readers enjoy tracking their annual reading, and the online Reading Challenge has gained ground in the past few years. Members of Goodreads can track their reading, share socially, and chat with others about books. There are groups and challenges aplenty over on that site, as well as suggested reads. Book Riot, a blog and website all about books, issues a Read Harder Challenge. You can do it online by using the hashtag #ReadHarder, or just print it out and challenge yourself. Book Rioters have created a community around books that may suit your fancy. Head over there and see if they are your kind of readers. If you w ant to go Canadian, try the 50 Book Pledge from Savvy Reader. Hosted by Harper Collins, this is an easy way to track your reading and win badges. They host contests throughout the year as well. I’ve done this one for several years, and it is a great way for me to keep track of what I’ve read and make quick notes. There’s a “To be Read” shelf as well as a “Currently Reading” shelf. And hey, if you don’t get 50 books finished in a year, no one will shame you. A librarian friend is trying the Popsugar Challenge this year. Here’s her stats from 2017, but don’t be daunted. She’s a fearless reader. If none of these sound like a fit for you, head over to this Master List of Reading Challenges. There are challenges for mysteries, romances, audiobooks, kids books, and more. I might try incorporating the Diversity Challenge into my 50 Book Pledge. 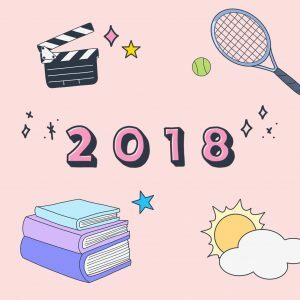 Each month has a different focus, and yes, there are booklists! So if the idea of a challenge appeals to you, head to these sites and sign up or just print them out and do them on your own. And when you need a book to fill your challenge, come see us. We’ve got books.